You know that nuts are good for you, especially if you eat them in moderation. They are high in heart healthy fats that protect and nourish your brain. They offer fibre, nutrients and protein and, best of all, they are easy to grab and eat on the go! 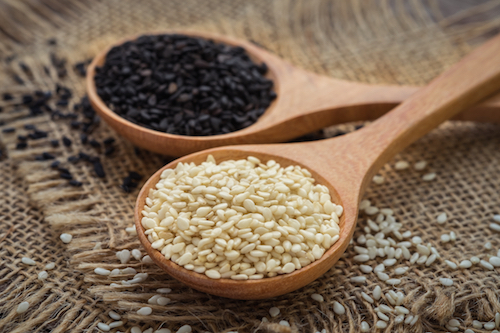 Seeds often get lumped into the same category as nuts and, while they offer many of the same benefits, they are actually quite different and may be better choice for some. What's the difference between a nut and a seed? A nut is actually a fruit! The hard shell wall that protects it is a composite of the seed and the fruit. Seeds are actually embryonic plants tucked inside a covering called the seed coat. Every seed has the potential to germinate and grown into a mature adult plant. Imagine the nutrients in something with that much potential! 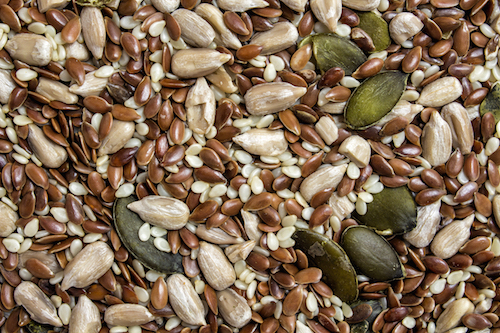 It's no wonder that seeds are a crucial part of the human diet - they are an excellent source of vitamins, minerals and nutrients, as well as fibre. Why choose seeds over nuts? Choose seeds over nuts if you, or someone you love, have a nut allergy or you're concerned about developing one. Choose seeds over nuts if you are trying to watch your weight. Nuts are higher in fat and calories, while seeds are higher in protein. Each gram of protein contains 4 calories and each gram of fat contains 9 calories. 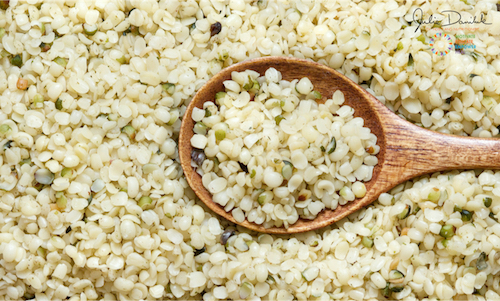 Hemp Hearts contain an especially beneficial type of Omega-6 fat called GLA1 of that works as a strong anti-inflammatory agent in the body. GLA decreases the inflammation caused by intense workouts or injury and help athletes who suffer from muscle pain. Hemp reduces muscle cramps because Hemp Hearts are a rich source of magnesium2, which plays a key role in proper muscle function and relaxation. Athletes are prone to magnesium loss from sweating so, adding Hemp Hearts to shakes can prevent post-workout cramps. Athletes generally have a higher than normal requirement for minerals, and a deficiency of minerals can have a negative effect on athletic performance.3 Hemp Hearts provide substantial amounts of zinc, calcium, manganese and iron, all of which are important for repair of tissues and maintenance of the immune system. 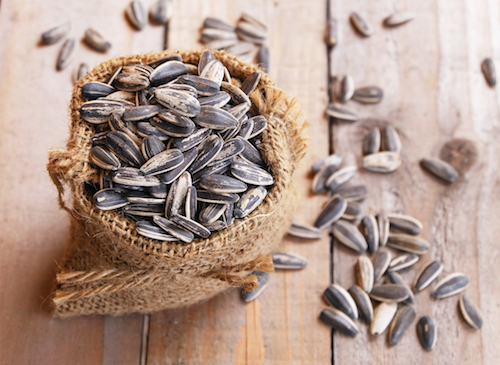 Sunflower Seeds are high in Vitamin B1 (thiamine).6 Thiamine is important for the health of your brain because it facilitates the use of glucose, which is crucial for the production of energy. You can eat sunflower seeds raw or sprouted. They can be added to salads or in a trail mix, though I think they're the most fun eaten straight out of the shell. Flaxseeds are super high in anti-inflammatory Omega-3 fatty acids which help to protect against all diseases.7 Remember to eat flaxseeds raw and freshly-ground, otherwise the delicate Omega-3 fatty acids will oxidize and lose their protective powers. 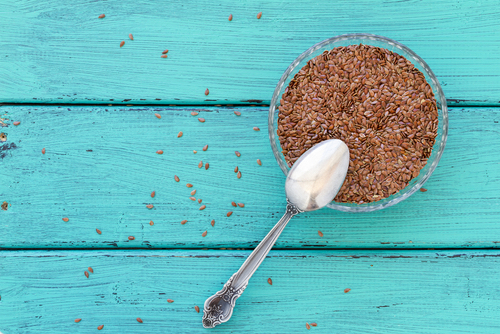 Add flaxseeds to cereals, rice dishes and smoothies. 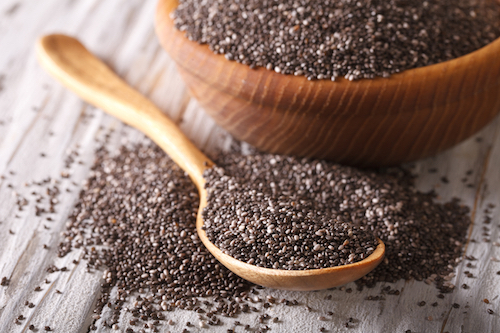 Chia Seeds are filled with Omega-3 fatty acids.8 They are an excellent source of fibre and have lots of protein and antioxidants, too. You get 4 grams of fibre in each tablespoon! 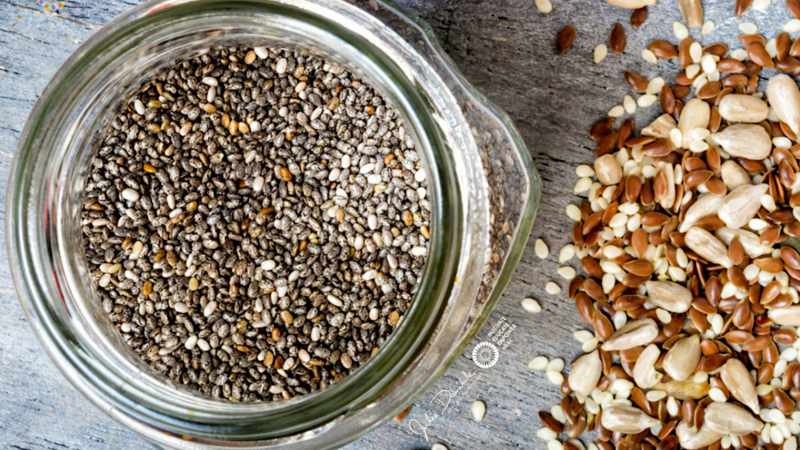 Chia Seeds absorb water very, very well. Be sure that you drink plenty of liquids whenever you include chia seeds in your meals... powerfully healing and powerfully absorbing! 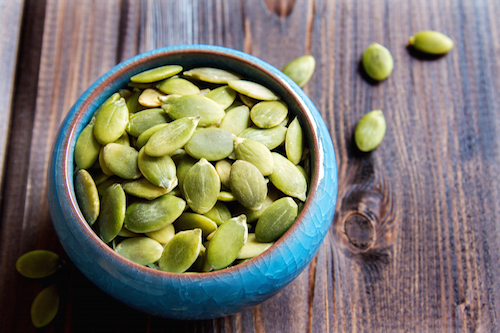 Pumpkin Seeds are high in potassium, calcium, magnesium, iron and zinc.9 I like to sprinkle pumpkin seeds on salads and add them to my trail mix. I use them in baked apple recipes and practically every fruit crisp I make! Don’t limit your seed roasting to the Hallowe'en season. You can roast seeds of any winter squash from butternut to acorn. They all pack the same powerful, nutritional punch! Tate G, Mandell BF, Laposata M, Ohliger D, Baker DG, Schumacher HR, Zurier “Suppression of acute and chronic inflammation by dietary gamma linolenic acid.” RB. J Rheumatol. 1989 Jun;16(6):729-34.